Soan Gardens is Islamabad’s best housing society which is located quite close to Pakistan Town which occupies a prime location of Islamabad. It is also located close to other important locations of Islamabad such as River Gardens and Islamabad Express Way. It is also an ideal housing society for living. Many residential and commercial projects have been opened in Soan Gardens due to its location. “Kazani Heights” is one of these latest projects that is located in Block- H of Soan Gardens, right next to River Gardens. 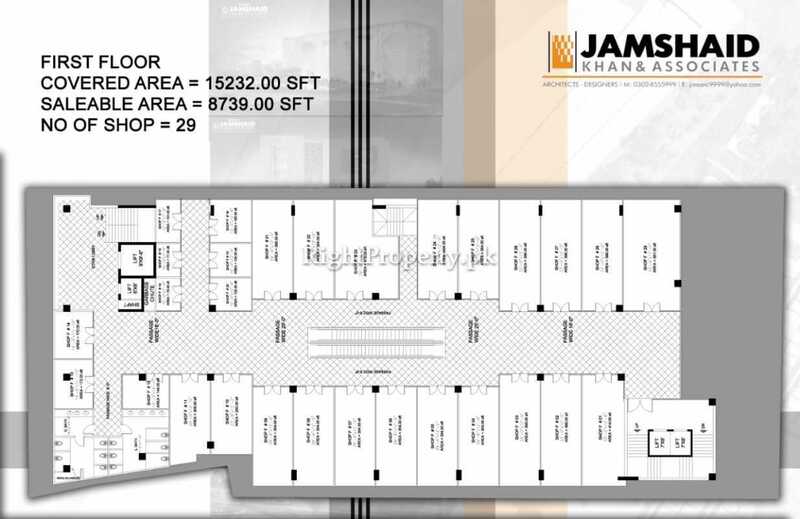 This project faces a park and Islamabad Express Way at an ideal location. Kazani Heights is a mixed use residential/ commercial project that is stretched over a huge area with all the world class living and business facilities. Kazani Heights is a world class project at a prime location, on which construction work has already started. In todays fast pace world everyone wants to be unique, whether it is about business or residence. Similarly, builders and developers employ the best design and working teams when they start any residential or commercial project. Red Point Builders & Developers have started their latest project “Kazani Heights” with the same vision and aim. 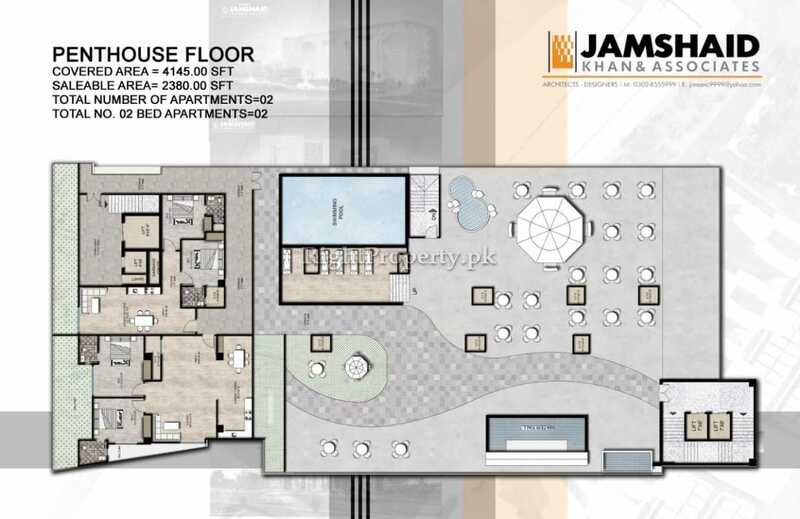 This project is started near Soan River with a unique layout. The building is being constructed with high quality construction materials. Kazani Heights is an ideal project with all the luxurious amenities and modern features to provide comfortable and peaceful environment for its residents. 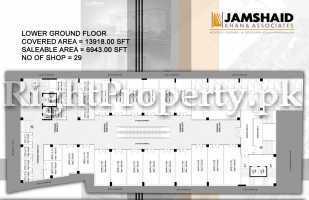 The retail units are also suitable for all sorts of commercial activities. 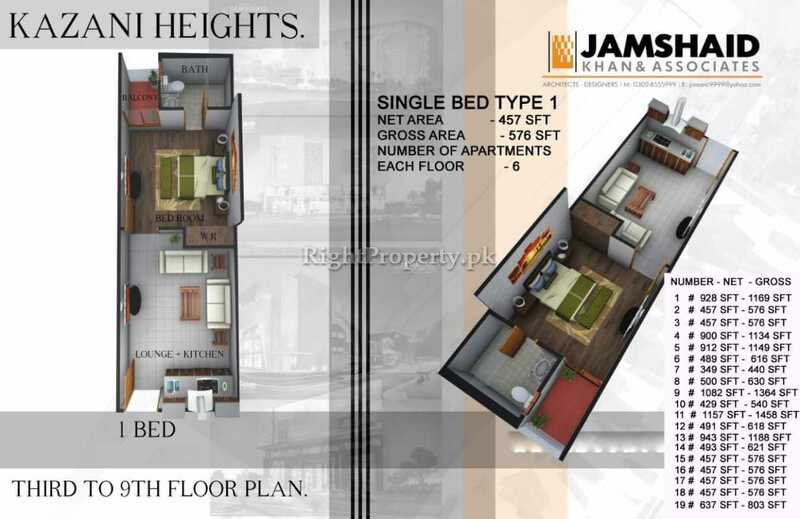 Kazani Heights is located near River Gardens in Block- H of Soan Gardens, Islamabad. Any commercial or residential project becomes successful if it has all the basic facilities provided in it. Secondly, the location also plays an important role in its success. If a project has a good location and has all the facilities provided in it, then there is no doubt about its success. 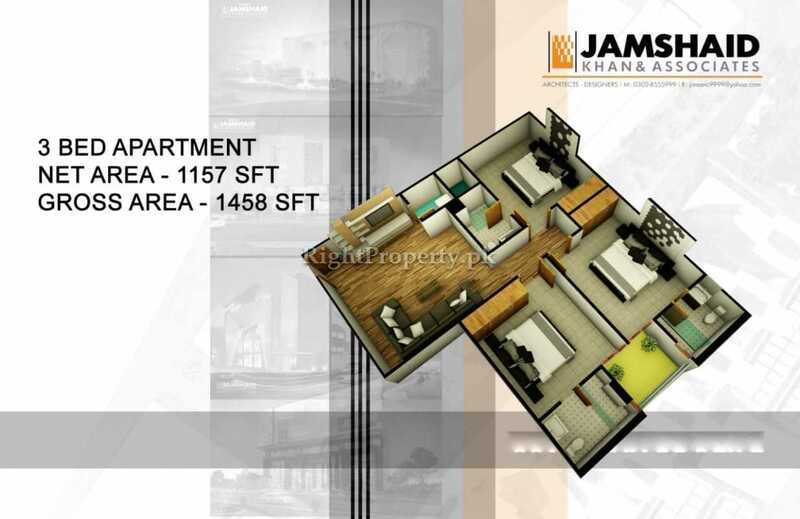 Kazani Heights is one such project with all the living and business facilities and a unique location, which is right next to River Gardens and facing a park. The vicinity of Islamabad Express Way also makes Kazani Heights even more remarkable. The surroundings of Kazani Heights have banks, commercial markets, international standard educational institutes, 24/ 7 water supply and other residential areas. 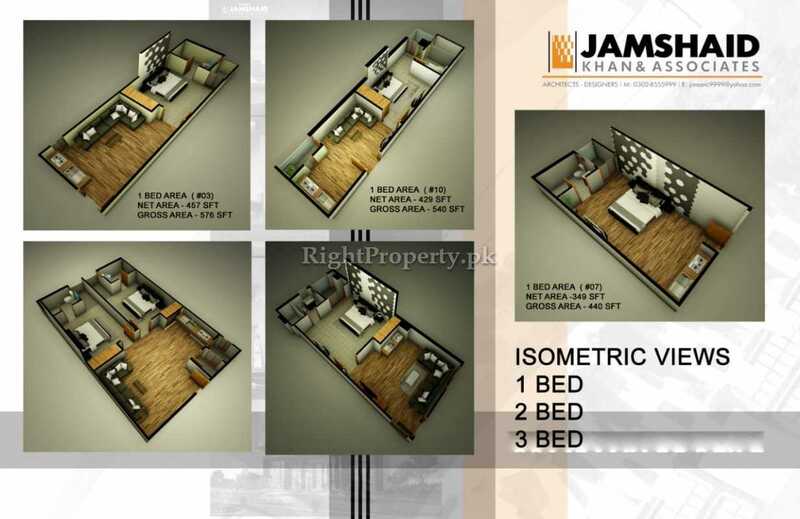 Moreover, Kazani Heights has other housing societies like River Gardens, CBR Town Phase- 1, Jinnah Gardens, Capital Enclave, Naval Anchorage, Pakistan Town, PWD Housing Scheme, Media Town and Korang Town in its immediate surroundings. The biggest housing societies of Islamabad, that include Gulberg Greens and Ghori Town, are only at a drive of 10 to 15 minutes from Soan Gardens. Almost all the famous builders and developers have opened their projects in these housing societies which are also beneficial for Kazani Heights. 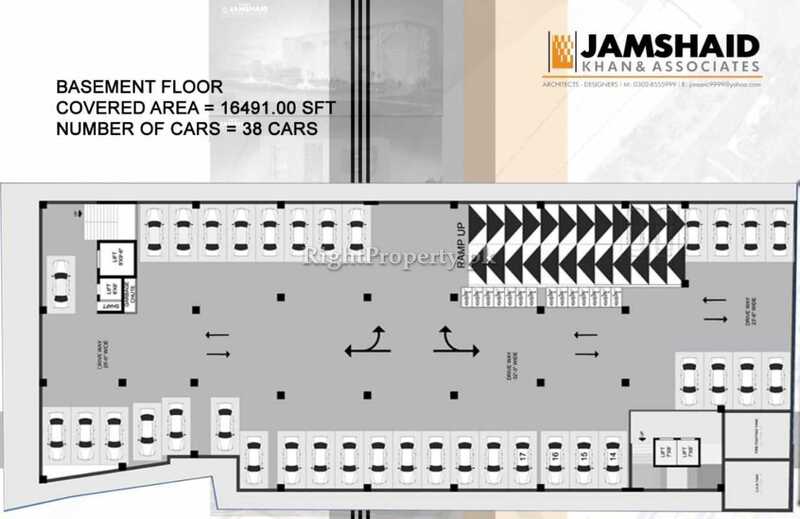 Kazani Heights is situated in Soan Gardens which already has parks, hospitals, educational institutes, restaurants, local and international shopping brands, commercial markets, mosques, graveyard, public transport and other facilities readily available in it. 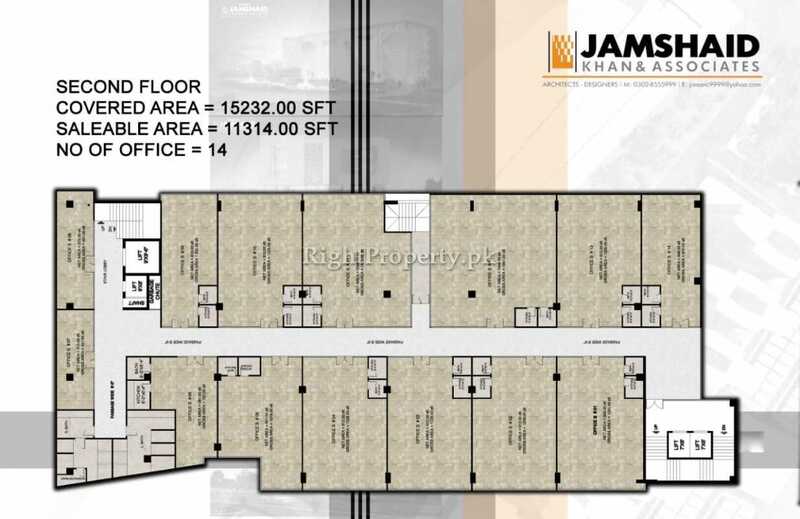 Furthermore, Benazir International Airport, PIMS Hospital, Blue Area and many other areas of Rawalpindi and Islamabad are easily accessible from Kazani Heights making it an important project. 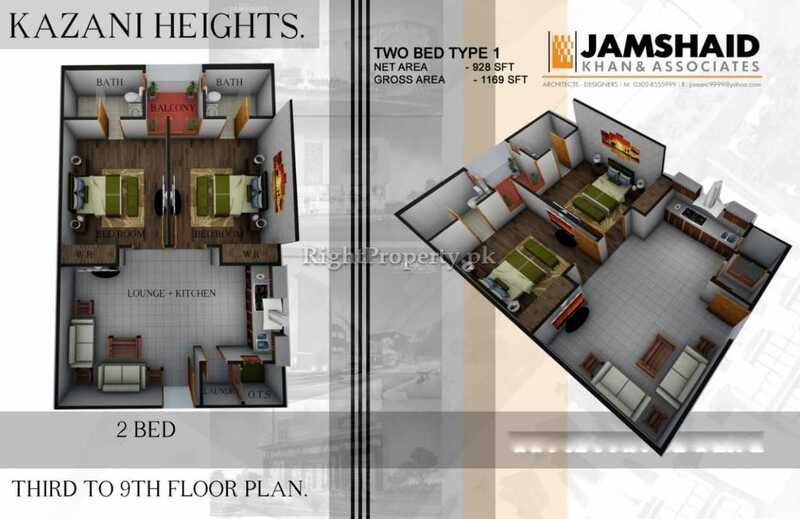 Kazani Heights is a residential/ commercial project with multiple floors. 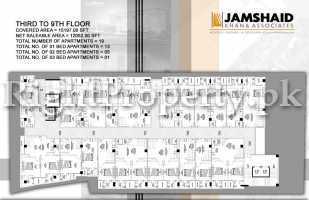 The building consists of a basement, lower ground floor, ground floor and 1st to 9th floors on top of it. The building has 2 and 3 bedrooms apartments facing the river and a park. The basement of the project has been reserved for car parking. The lower ground floor, ground floor, 1st and 2nd floors have shops of various sizes. 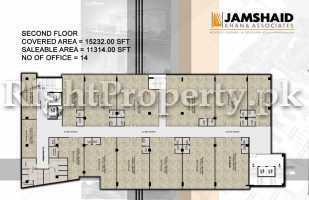 The upper floor have studio apartments, and 2 and 3 bedroom apartments. The rooftop has luxury pent house and a lavish swimming pool. 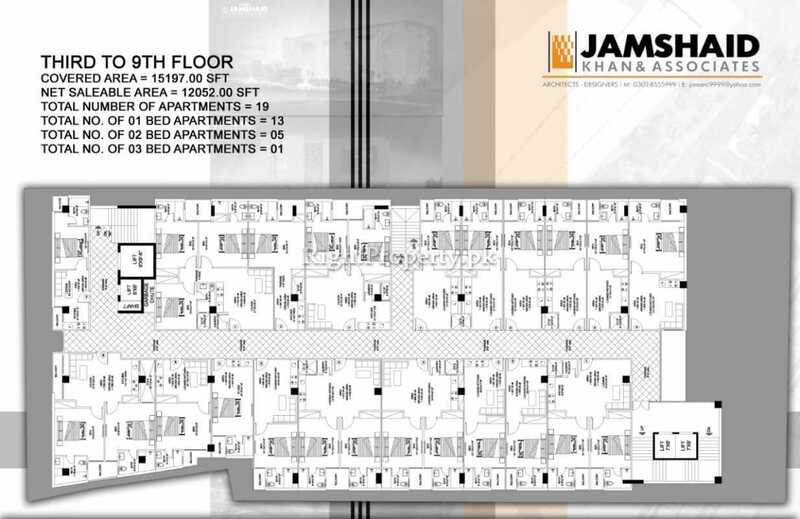 The building of Kazani Heights consists of multiple floors. 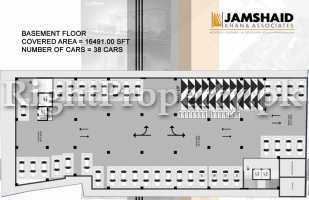 The basement has been spared for car parking that can accommodate more than 50 vehicles. 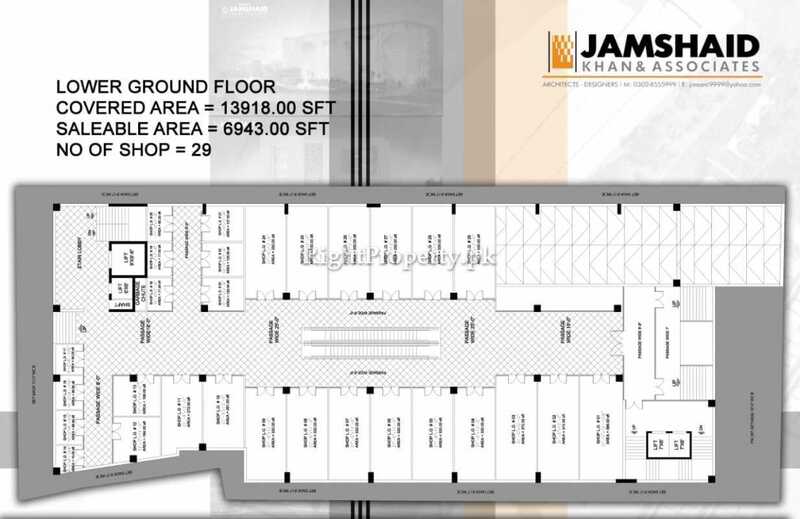 The lower ground floor, ground floor and the first floor have retail shops that will house national and international brands, food chains, departmental stores etc. the 2nd floor has 14 office spaces designed for corporate companies. The 3rd to 9th floors have 91 one bedroom apartments, 37 two bedrooms apartments and 7 three bedrooms apartments on them. The roof top has luxury pent houses along with sitting area on pool side. 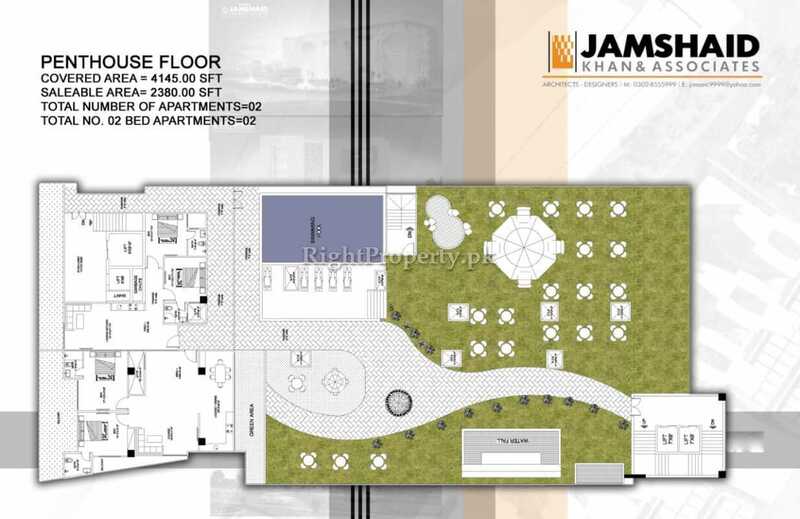 The project is fully equipped with luxury amenities and world class facilities. 10% of the total amount is to be paid at the time of booking. Another 15% is due for confirmation within the next 45 days after booking. 15% is to be paid at the time of possession and the rest of the amount spans over 36 months, payable in 12 quarterly installments. Soan Gardens is among the most expensive housing societies of Islamabad right now. One reason for this is its location while another is the availability of all kinds of living facilities here. Hundreds of educated families are residing here, which is also a reason why people prefer to live here. Kazani Heights offers a good opportunity to its clients to have a luxurious life style in this project. Red Point Builders & Developers have launched a remarkable project in Soan Gardens that will be among the world class projects in twin cities after its completion. The builders say that they are going to deliver all the amenities in this project as promised and this project will be completed within its time frame and the clients will be handed over their units as committed. Soan Gardens is a well developed housing society with thousands of residents who are happy with the facilities they are getting. When the locals were asked about Kazani Heights, they said that they are very contented with this project and the others like it. This not only brings a pleasant change in the area but also provide even better facilities and more options for the residents. 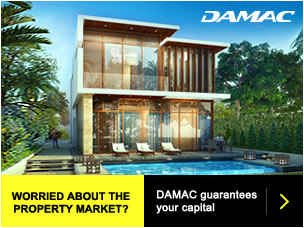 Such projects also cause an increase in the property rates in the area and lure more people towards this area. The survey conducted by the Right Property team suggests that Kazani Heights has become an attractive project since its pre-launching. The project promises luxurious life style for its residents and will have all the modern day amenities in it. The builders provide an excellent opportunity to live at affordable prices.